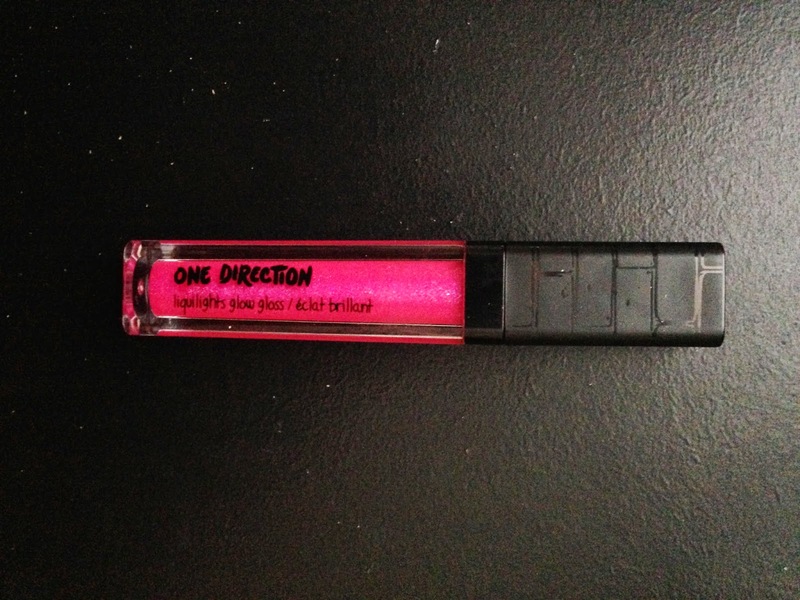 I had more fun than I should have testing out and reviewing the new One Direction Makeup line from Markwins. 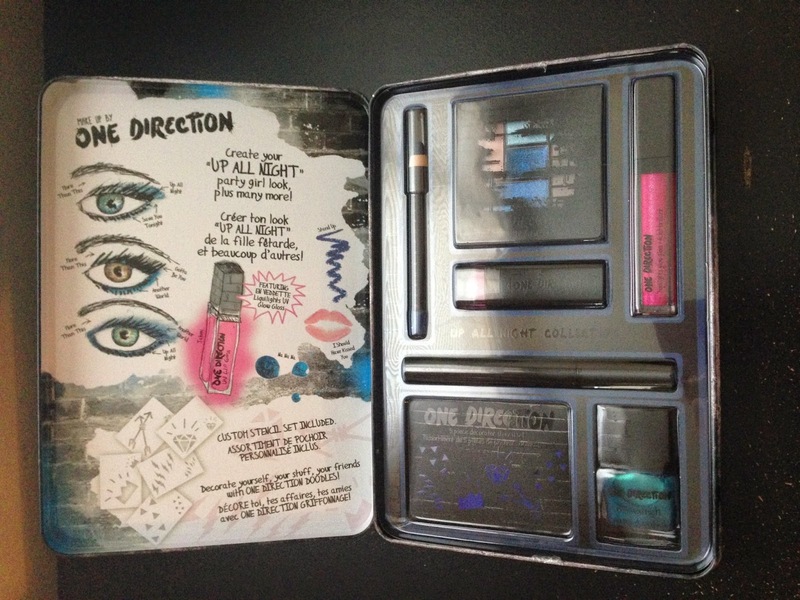 When I first heard about this makeup line, I was visiting my sister down in Colorado, who has two little girls that are huge 1D fans. I think the week I was in town I was forced had the privilege of watching the group's movie about five times. I fully support celebrity obsessions (how could I not, when 12-year-old Wendy had 'N Sync posters covering her bedroom walls and ceiling...), so naturally I was online with my nieces looking up 1D news. 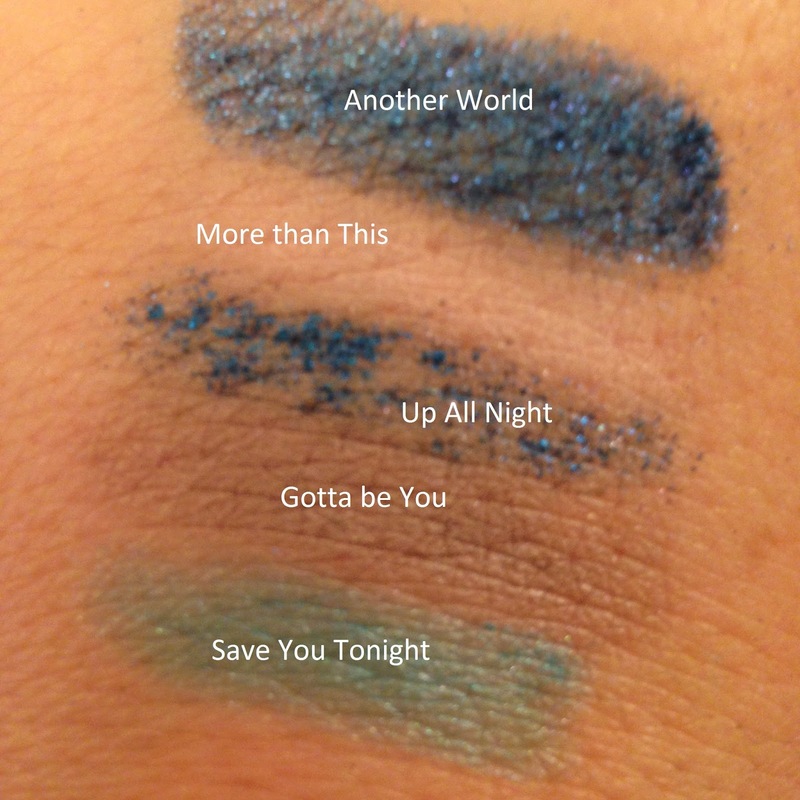 I happened across this tweet from Niall, referencing the new makeup line. Of course my nieces found it hysterical that his nails were painted. Anyway, when I was contacted with the opportunity to try one of the kits in the One Direction Looks Collection I felt I owed it to my nieces to check it out. 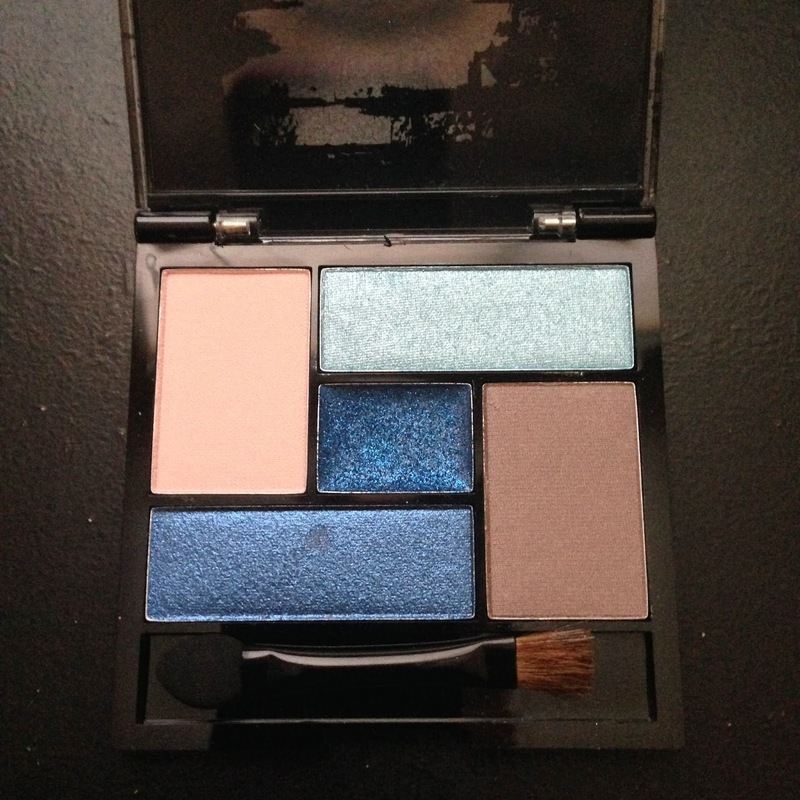 The eyeshadows are great for younger girls for several reasons. First, the blues can be used alone for more dramatic dress-up colors, or you can incorporate the neutrals for an everyday look. 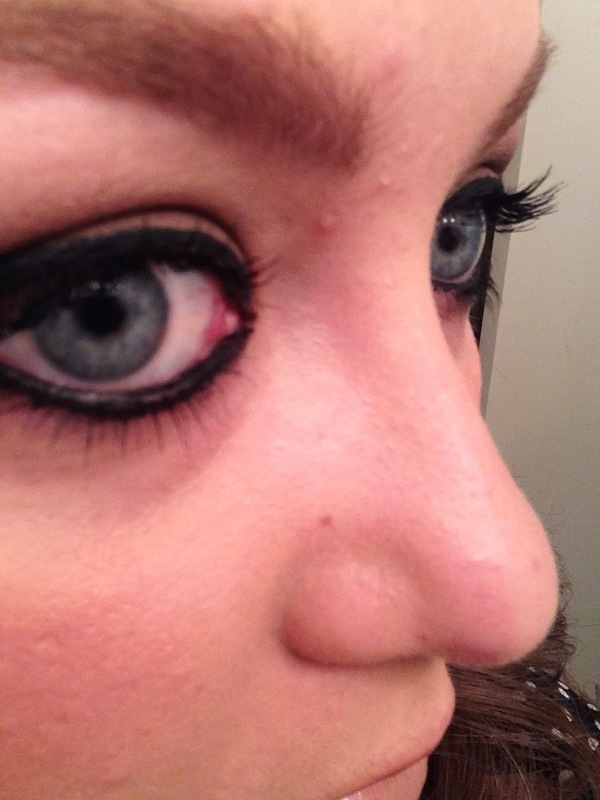 Second, they're not super pigmented, which means a lesser risk of overwhelming color. 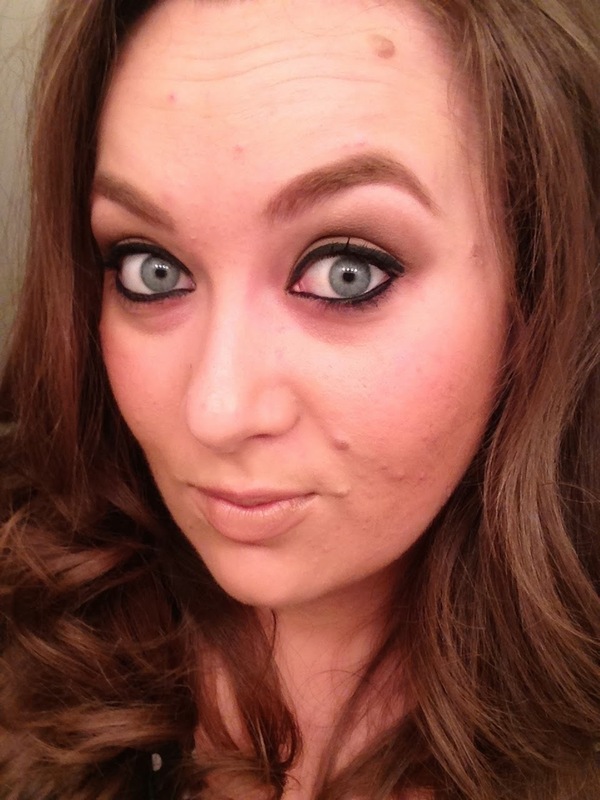 And finally, I was impressed by how easily these eyeshadows washed off. I just rinsed with warm water and they came right off. While ease of removal isn't something I normally look for in my own makeup, I think it's key for makeup you're going to allow younger girls to use. You don't want them damaging their sensitive skin by rubbing or using harsh cleansers. 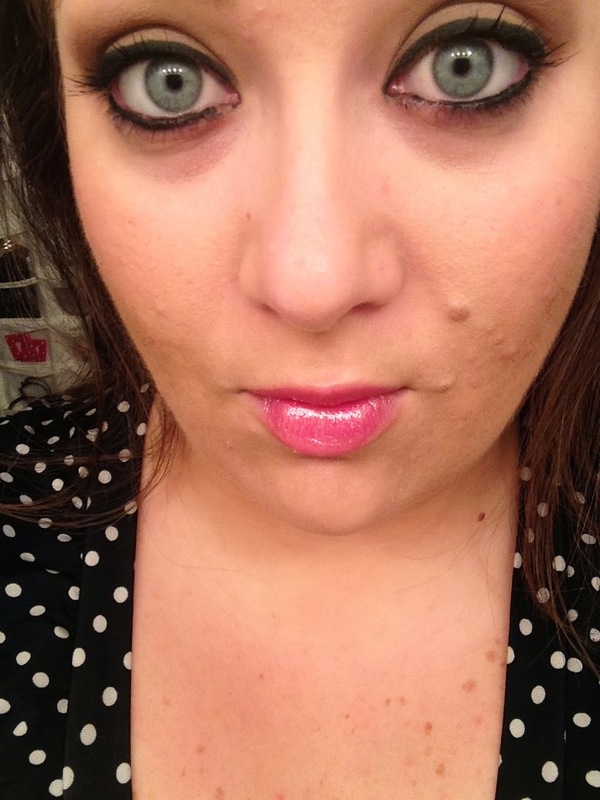 The "Little Black Dress" mascara was incredible. Not too wet (which is a common problem with new mascaras), and it kept the lashes separated. The lip colors surprised me. 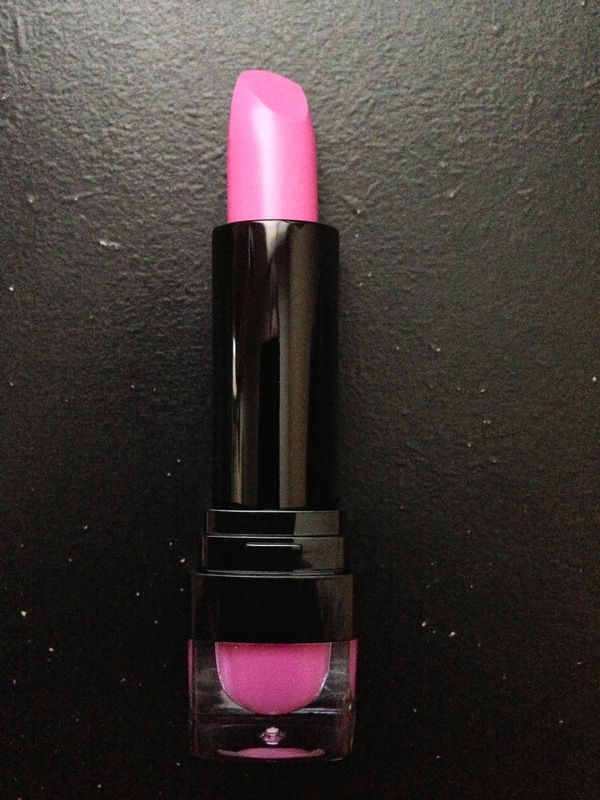 The lipstick calls itself "I Should Have Kissed You" bubblegum pink creme lipstick. The color description was spot on, but I personally wouldn't classify this as creme lipstick. 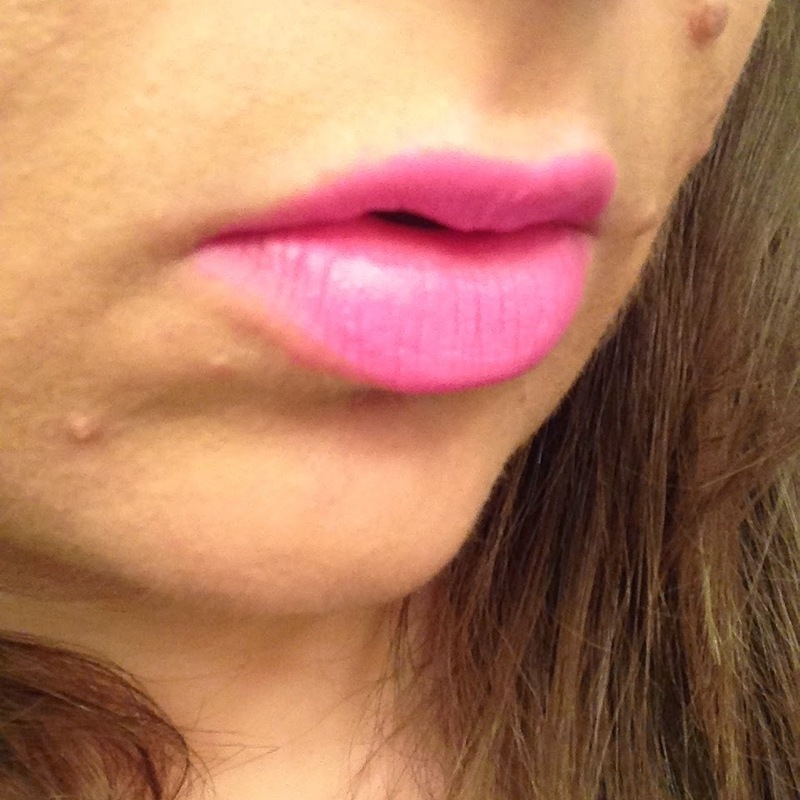 It was nearly matte in application, and it didn't glide on the way most creme lipsticks do. Nevertheless, I liked it. The "Taken" liquilights glow gloss professes to glow neon orange under UV light. 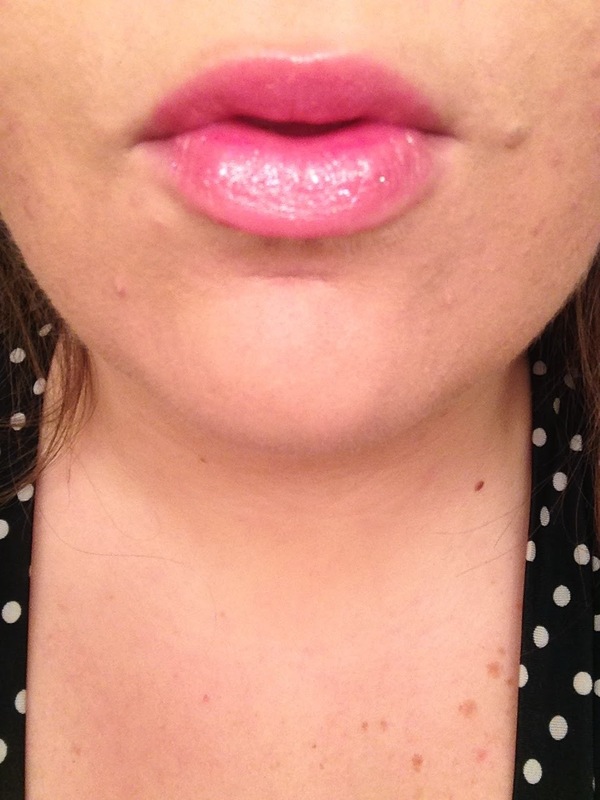 I didn't have a chance to test out that claim, but I was utterly shocked at how much I loved this simple pink gloss. It was bright without being out of control. It's smooth and not sticky. It contains small glitter flecks that enhance the shine without looking like you kissed your latest art project. And here's the really fun news: the One Direction Looks Collection launches TODAY at Macy's. It will also be available at Dillards, Beauty Brands, Lord and Taylor, and Stage Stores beginning August 25. In addition to the kit I reviewed, the line offers the Midnight Memories kit, featuring a lot of reds and grays, and the Take Me Home kit, featuring a palette of greens and oranges. Head over to Macy's and pick up a kit for the 1D fan in your life! While I received this product complimentary, I will never share opinions on this blog that are not entirely my own.